Jimi Hendrix is still considered the King of the Seattle Music Scene, even though hes been worm food for a mighty long time. This statue is on Broadway, in Seattles Capital Hill district. 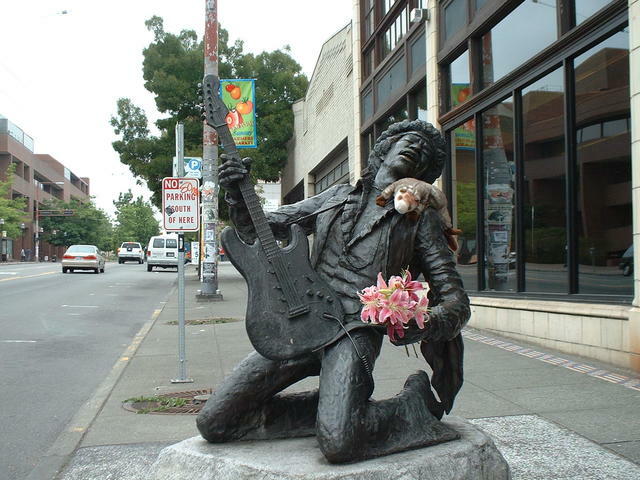 Jimis grave is actually in Renton, WA, about 20 miles south.